Few companies embrace the “work hard, play hard” mentality quite like The Exterior Company. Most of the year, The Exterior Company’s staff of 40 office personnel and 50 to 60 laborers, is spread around the East Coast, helping individuals and companies repair roofs, siding, windows and gutters after destructive storms. It’s hard work, and it keeps sales reps and project managers on the road for six to eight months at a time. Often, they’re away from their families, and they’re always putting in long hours. But founder, Ryan Hoke, goes above and beyond to make sure his employees have fun, too. The Exterior Company, headquartered in Lancaster, Pennsylvania, places employees who sell or manage a million dollars or more in its “Presidential Club.” Those employees and their spouses are taken on all-expense-paid trips to places like Colorado, for backcountry snowmobiling, and Las Vegas, for letting loose and dune buggy racing. 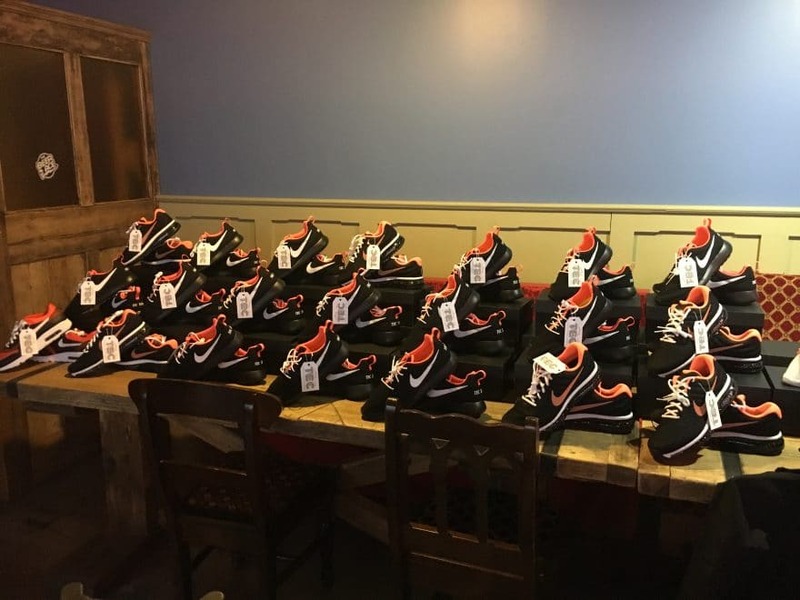 The company has been known to give away laptops and iPads, fill piñatas with scratch tickets for the company Christmas party and design custom Nikes for its team. The list goes on. In return, those employees have made The Exterior Company one of the top five fastest-growing construction companies, according to Inc. 5000. Hoke attributes that success not to chasing profits, but to his team. Hoke grew up in the industry. His father owned a construction company, and before starting The Exterior Company, he worked for another construction and roofing company. Hoke felt it was almost embarrassing to sell their products and services because all the company cared about was making a profit. Before long, he realized he could offer a better product and better service. At just 23 years old, Hoke launched The Exterior Company—he worked from his apartment, knocked on doors to get clients and recruited friends and family to help him. Less than 10 years later, The Exterior Company has achieved both Owens Corning Platinum Preferred Contractor status and GAF Master Elite status, which guarantee both craftsmanship and roofing materials. That’s a distinction only two percent of roofing companies hold. It is HAAG Certified, an industry qualification that ensures the company can appropriately assess damage, and it has an “A+” rating from the Better Business Bureau. The company is licensed in most East Coast states, from North Carolina through New Hampshire, and Hoke foresees eventually being licensed in nearly every state. What matters to Hoke, though, is that The Exterior Company is an honest company driven by people, not profits. “I wanted to create a company that I would want to show up at my house, or that I’d trust going to my parents’ house,” Hoke says. He wanted to make sure his sales team wouldn’t cut corners or use cheap materials to increase profit margins, so he structured the business so sales reps aren’t paid a percentage of the profit. Instead, everyone is paid off of the project’s total cost. Labor crews are paid 10 to15 percent more than the industry average to ensure better craftsmanship. “Because I came from a selling background, I wanted to create an atmosphere and ecosystem that I would want to sell in,” Hoke says. To do that, Hoke hires carefully. He only brings on highly-driven team players, and he puts employees first. While a lot of the employees are from Pennsylvania, the projects they’re working on might be anywhere from two to nine hours away and can last from six to eight months. That means a lot of time on the road and, in some cases, relocating. Their chief operating officer, who has been with Hoke since the beginning, put 50,000 miles on his new truck in a single year. The long hours haven’t deterred The Exterior Company from being very close-knit. The company created a private Facebook group for employees to share victories, problems or even a mid-day pick-me-up. Various group threads keep employees from every location up-to-date with each other’s daily lives. Hoke was the best man in one employee’s wedding, the co-best man in another’s. He took care of one employee’s dog while that employee’s wife was in the hospital delivering their baby, and he was one of the first people to visit after the baby was born. Almost every morning, a group of employees can be found working out at the local gym together. “At the end of the day, the people we work with are also the people we hang out with,” says Rose. Hoke calls it an “integrated life style,” one in which employees don’t have to choose between work and life. Hoke recognizes the sacrifices his team makes, and he tries to make it up to them with perks like new GMC trucks with premium accessory packages when they reach milestones. Company giveaways for employees range from various Apple products (iPhones, iPads and Macbooks) to upgraded tools and accessories for the job.